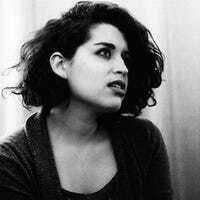 Paula Mejia is a staff web reporter for Newsweek. Her work has appeared in Rolling Stone, The Guardian, Pitchfork, Spin, Rookie and others. She is currently writing a 33 1/3 series book about The Jesus and Mary Chain's 'Psychocandy' because she hates free time.